The New Year marks the beginning of my ministry with the wonderful and welcoming congregation at Pilgrim United Church of Christ in Wheaton, MD. 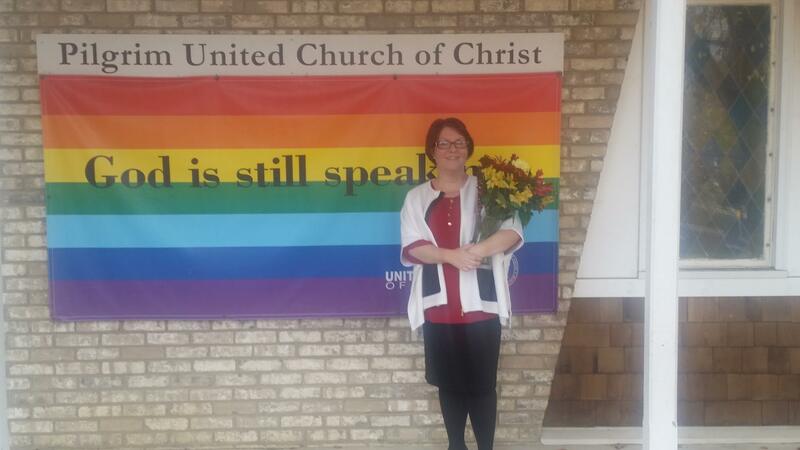 Pilgrim UCC is an Open and Affirming (LGBT-welcoming), racially diverse, multi-generational church. Worship begins each Sunday at 10:30am and is followed by coffee and fellowship. Here are some bullet points about the church and the service they’ve put together for newbies and first time visitors. The Young Adults Gathering happens on the third Friday night of each month at 6pm. It’s an unstructured evening of fellowship for young adults and the young at heart. Kids are welcome– childcare responsibilities are shared as kids run around and play while the adults hang out.